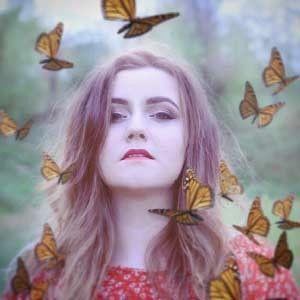 Her name may not be terribly familiar, but make no mistake Chelsea Alice Scott is someone who is determined to bring a message to the world through her music. It's a message that has helped her in her hardest times as she discussed with us when we met up with her before a recent gig. This time last year Chelsea was on tour with the X-Factor's Rebecca Ferguson bring her mix of musical stories and faith to a new audience. So there was plenty to talk about! Chelsea, tell me a little about yourself. I'm 26 years old and I live in Sheffield, and I am married with two amazing little sausage dogs. I thought you were going to say children for a second, I was going to say that's a bit quick! They are practically kids, but no, sausage dogs. I do a lot of music in my spare time. OK, you said you are married, let's get this out of the way, who are you married to and how does it relate you into a musical family? So I am married to Josh Cana, he is also a musician and he is the brother of Joel Cana who is the husband of Philippa Hanna. So it gets a bit complicated, doesn't it? Everyone is related, so it's fine. Last year you released "Wild Soul", so how has that album gone down generally with people? It's gone really well I think. For a first album, you never know who's going to buy it and if they are going to like it, it's the first album I have done in the studio so it's got the full production. Everyone seems to really like it, we got into the top 10 of the Christian and Gospel charts on iTunes which was good. I know, they've gone, how insulting, how dare you Apple? With "Wild Soul" what was the thinking behind the tracks and the name, cover, what was the overall thought behind that album? Because it was my first album I really wanted it to be a reflection of who I am, but also the journey that I have been on since I released "Lucky Girl" which was in 2009. So it's quite a long journey! I've done quite a lot of growing up in that time, I've got married and I've travelled a bit. A lot has happened. When I was writing the songs I wanted them to be songs that people could relate to, but also know a bit about me. I am a wild soul, I like to travel and I'm very spontaneous and always wanting to find an adventure. So that's the idea behind it? Is there any one song that if you had to say was the song on the album that someone should listen to, is there any one song that speaks to you? It's interesting because I think there are two songs and I really struggle to pick between them, but the first track "In It All" and the last track "Sanctuary" because when I perform them and I am feeling like, I don't know where I am going, or I'm not quite sure ẁhy I'm doing this, sometimes I'm just a little bit confused and I'm asking myself 'God, why is this situation like this?' and I can listen to those songs and actually when I'm singing them then they minister to me as well. So "Sanctuary" is very close to my heart. I wrote that in the time when I had pretty bad depression, and when I sing it, it just reminds me that God is good, and that no matter what is thrown at you there is some place that you can run to and that is with God. So when I sing those songs it always picks me up a bit as well, which is really nice. Is there a different song that people come to you and say "this song really ministered to me"? A lot of people come to me about "Sanctuary". Every time I play I will get at least one person who says that it really spoke to them, which is really good. A lot of people like "Only Human" when I play that live. I really like that song because it works really well, because we wrote it in the studio. We didn't write it with any real instruments, it was all very much synths and midi files, but when we perform it live it takes on a little bit of a personality of it's own which is really cool. It becomes more folky I assume? Certainly acoustic. We normally just do it acoustic and piano, and it goes down really well. On YouTube there is an acoustic version of "Only Human". One of the tracks is a duet with Philippa. What was it like working with Philippa, obviously she's family, but its a good name to have on the album saying that you have a duet with Philippa Hanna given the standing that she's made for herself? It was a really good experience, and just having her in the studio put me at ease because she is a real professional. It's good to learn off her and the way that she does things. It was really fun just having her around when we were recording some other things as well, just to get her input and just to have her there, she's been with me from the start, so when I was really young and she's, kind of, championed me on. So it was nice to have her there for such a big moment in my career. Has she influenced your songwriting? I would say that she has, but do you feel that there is an influence there? Definitely, obviously we have done so much co-writing together that there is always the Philippa influence. Again she has taught me a lot about that and just how to write good song and how to write really real songs so, yeah, she does influence me. Lots of other Country singers, I love Country music and that really pushes me to write a song with a real story and a real heart to it which is cool. Let's go back, when we said 'who is Chelsea Alice Scott', how did you come to knowing God, how did you come to that point of identifying as a Christian? It's really funny for me because I became a Christian when I was really old. Well I feel it! When I was really young, I was about 5 years old and I was at primary school and I remember back in the day when you used to pray every assembly, and used to sing songs. Whenever we prayed I always felt really peaceful, I always felt really calm and I would just focus on Jesus, the image of Jesus, whatever that looked like to my 5 year old brain. Were you from a Christian family? No, not at all. I kind of asked my friends, 'when you pray do you feel really peaceful, like there is no-one else in the room and everything is fine?' And everyone looked at me like, 'No'. I was just really interested in God. I remember we had a Bible and I used to read it all the time, I asked my Mum for one, at the same time there was someone at her work who was saying 'please come to church, it's great.' So it all kind of linked up and my entire family went to church and I was saved. I honestly believe that I was saved from a really young age. It's great because I feel like everything I have been through in my life, everything that I have experienced, I wouldn't have wanted to experience it without God. I feel like I am fortunate. Was there a point in your life where it started to crystallise about what the faith was and what it meant for you going forwards. I think that when I became a teenager, being a teenager you are just surrounded with people who want to experiment and go off the rails a bit, and I was definitely tempted by that and I felt a real need to conform to everyone else around me, but it's like God never really let go of me. So no matter what happened in my life I always came back to church and I thought 'I don't want to live the life that everyone else is living, I just want to know God who gets me through everything.' That's what I wanted I didn't want to do things that were 'cool' if they might hurt me or have a bad influence on my life. You did say that "Sanctuary" was written out of a time of depression and Mental Health is a bit of a hot topic. It's one I like to discuss with people if they identify it as an issue. Can you talk me through what your experience of depression was and what has helped you get beyond it, was it just church or was it God, is it more than that. My journey with it probably started about 3 years ago, possibly more. I was feeling terrible, I was not in a good place. I got to a point where I needed to go and see a Doctor. I went and did the test and they said 'You're severely depressed' and it was actually at the time when I was starting to write the album and I went down to Cornwall and went to a place called Looe and that's where I wrote "Islands". They put me on anti-depressants but they didn't work for me, for me it made me a million times worse. I know that it works for some people, for me it didn't. I went to see some counsellors, some worked, some didn't. The main thing for me was 100% God, I didn't want to get out of bed, I didn't want to go and see anyone, I was literally at a point where life didn't have any colour any more, it wasn't worth being here. Someone said to me 'I don't know much about depression, but I know you have to fight it.' and that woke something up in me and I got to a point where I was completely reliant on God, I had to have worship music on all the time because I couldn't be left alone with my thoughts. I would revise and remember Bible scriptures to counteract any negative thought that would come in my mind. So anytime that I would feel really awful or really bad about myself I would just speak the Bible over myself. Sometimes I didn't believe it, so I had to keep speaking it, but as time went on I just got stronger and stronger and that is honestly what got me through, that constant God in my life. Is it still something that you are fighting, if you don't mind me asking? I don't want to bring up to many bad memories, but that initial phase when you went to seek help, went to the Doctor, were there people pushing you to do that? So it wasn't you feeling 'I need to go and see the Doctor', it wasn't self identified? No and I think that is a real big struggle for people with mental health issues to take that on themselves to go to a Doctor. I had just given up and I was literally just crying all the time. My friend had to take me to one side and said 'you have to sort this out, this is going to take over your life.' Unfortunately it had already taken over my life, there was nothing else going on there it was just consuming my life. So I'm really grateful to the friends who said you need to see a Doctor, because they can help you, and they did help. There was one counsellor in-particular just made me feel like I wasn't strange and that actually what was going on was quite normal, which really helps because you feel like someone else has taken over. So that was really good. Obviously you had a big tour last year, what's next? 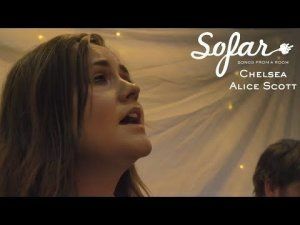 What is next...well my next gig is one in Australia, so I am going way across the world and will be performing in Perth as part of Sofar Sounds international family. So there are a few more things up my sleeve, but who knows if I am allowed to talk about them yet! I'm definitely going to get working on some song-writing again and keep gigging where that is in the world who knows, but Australia is next! 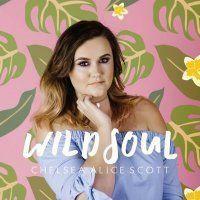 Chelsea's album Wild Soul is available from iTunes and other online retailers. Check out our review of Wild Soul.